Synthcurious will be joined at tomorrows event by local musician, Tim Seeley. This is not the first time we have collaborated with Tim. He played a key role in The Tin Music and Arts and Synthcurious schools project for the Deliaphonic event, devising and delivering the in-school sessions, as well as playing a central role in the performances at Coventry Cathedral on the afternoon of the event. The visuals for tomorrows event will be provided by Tschock. We are delighted to announce that Hans-Joachim Roedelius and Christopher Chaplin will be performing for us in September. Electronic pioneer Roedelius is a legendary figure in popular and ambient music and in the birth of Krautrock. He founded the seminal bands Kluster (with Conrad Schnitzler and Dieter Moebius), later to become Cluster, and Harmonia (with Moebius and Michael Rother). He recorded the albums “Zuckerzeit” (Cluster, 1974) and “Deluxe” (Harmonia, 1975), which are considered blueprints for today’s electronica and were recently successfully reissued. In the 70s he worked with Brian Eno (check out “Cluster and Eno” and “After the Heat”). Roedelius began releasing solo albums in 1978. He was already exploring the interplay between piano and electronics on his second LP, “Jardin au Fou” (1979). With a beautiful complexity and a magnetic presence on stage, he makes every show a unique and fascinating experience. 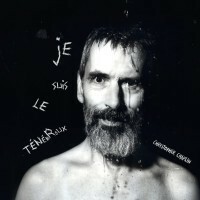 Swiss-born British composer and experimental music artist Christopher Chaplin studied the piano with Irene Denereaz in Vevey/Switzerland before moving to London in the early 80’s. In 2009 he was invited by Viennese label Fabrique to collaborate with electronic musician Thomas Pötz aka Kava on “Seven Echoes”, an album released in 2010 and presented live at the Art Brut Museum Gugging in Austria. There he met Hans-Joachim Roedelius who later invited Christopher to take part in a “Late Junction” session for BBC Radio 3. The result of this second collaboration eventually led to the album “King of Hearts”, released in 2012. 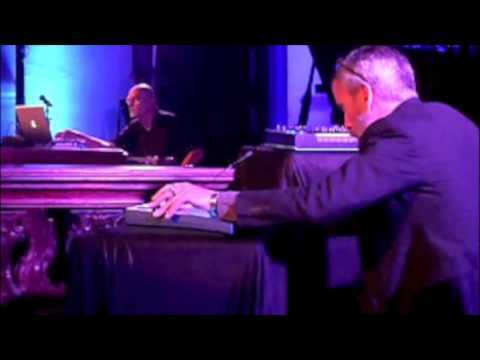 In the following years Chaplin and Roedelius performed around the world. October 2016 will see the release of Christopher Chaplin’s first solo album “Je suis le Ténébreux”.